When you look good, you're Unstoppable. Do you wake up in the morning, just dreading picking out what to wear? Is your closet overwhelming, full of items that don't fit, are out of style, or just plain ugly? Are you constantly late to work because you can't find something that looks good, feels good, and is office appropriate? Do you have a closet full of clothes, but still nothing to wear? 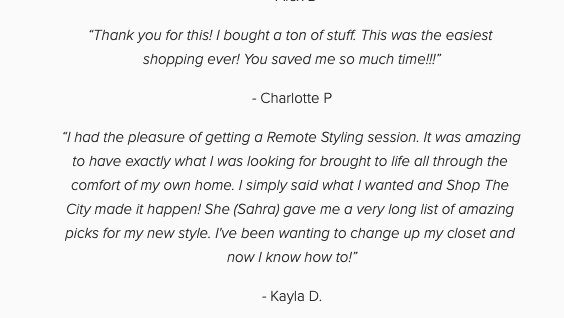 Are you ready to kick your style up a notch!? Do you want to take your wardrobe from drab to Absolutely FAB? 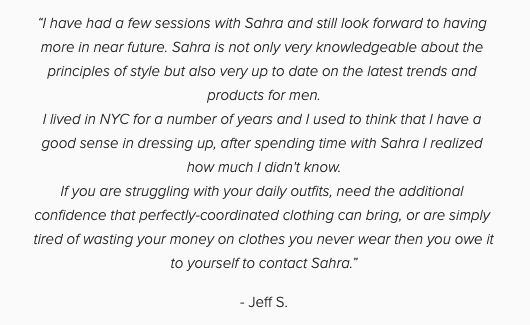 Are you ready to feel confident and beautiful in your clothes every day!? 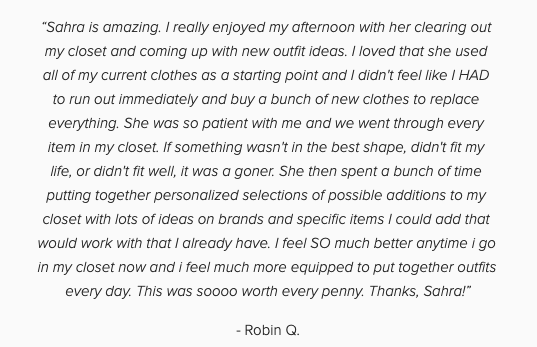 Sounds like a Closet Audit and day of Personal Styling is the key you need. Let's start with a drink. Pick your poison: Coffee, Tea, or Mimosa? I'll bring the bevs, you just lead me to your closet. I'll do a full inventory and review of what you're working with; do you have jeans that don't fit anymore? GONE. Have stained tops and sweaters? BYE. That one tee shirt you saved from your college fling with the spaghetti stain? C YA. Sky high shoes you haven't worn since you were 23? SAYONARA. Does that one dress look pretty on the hanger but not make you feel confident when it's on? BYE FELICIA. We'll put everything back in an organized manner, something that will make sense and make it easy to get ready in the morning. 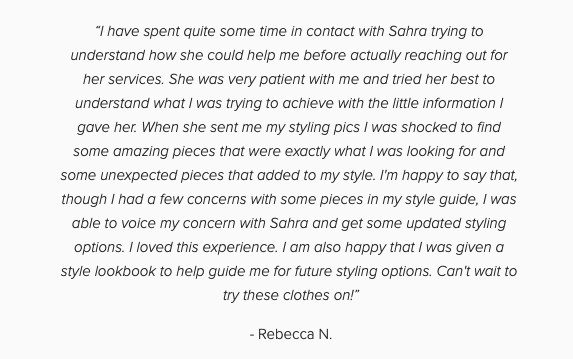 We’ll shop your closet and pick out some go-to outfits for your daily life and show you tips and tricks to elevate the styling of them. No more fuss, no more stress. But wait! The work doesn't stop there - about a week after your wardrobe audit, I’ll send along a message with links to online items I think will look good and how to piece them together with other items in your closet or other new items - this will also include some photos that we may have taken of your go-to outfits, as well as some sartorial inspirations. How much is this going to cost me? We operate on a flat fee for 4-6 hours. We don’t like to put time constraints on our sessions as we want to make sure the work is taken care of. What if the closet audit takes too long? 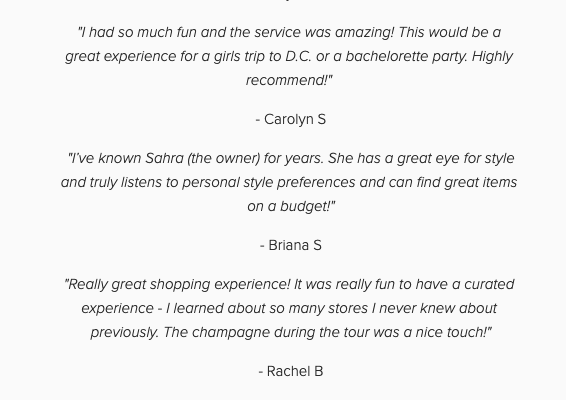 Don't fret - we'll just book the second part of your experience for another day!